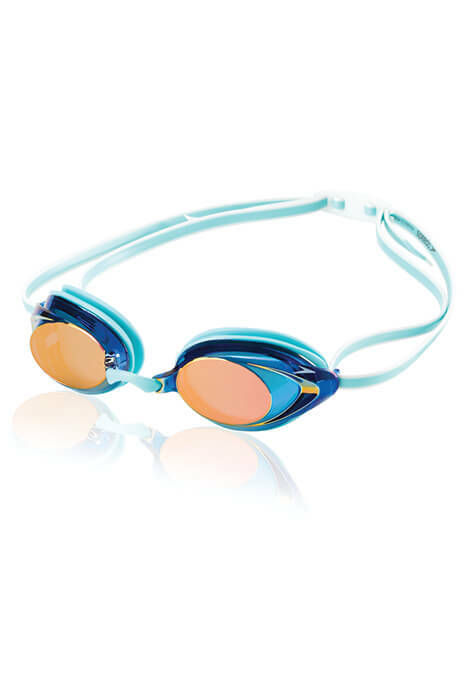 Speedo® Women’s Vanquisher Goggles offer sleek, snug low profile fit with 25% more peripheral vision. Four nose pieces for custom fitting. Latex free. Anti-fog and UV protected lenses block the sun’s harmful UVA and UVB rays. Imported. Aqua. Swimming goggles come in one size. I do a lot of water sports and these goggles are perfect!